Note: Running Docker on Windows requires Windows 10 Pro. The necessary virtualization features are not available on Windows 10 Home. As I mentioned in the first post in this series, my motivation for moving back to Windows was that I needed a new laptop. It needed to be a solid developer laptop, and nowadays, that means being able to work with Docker. 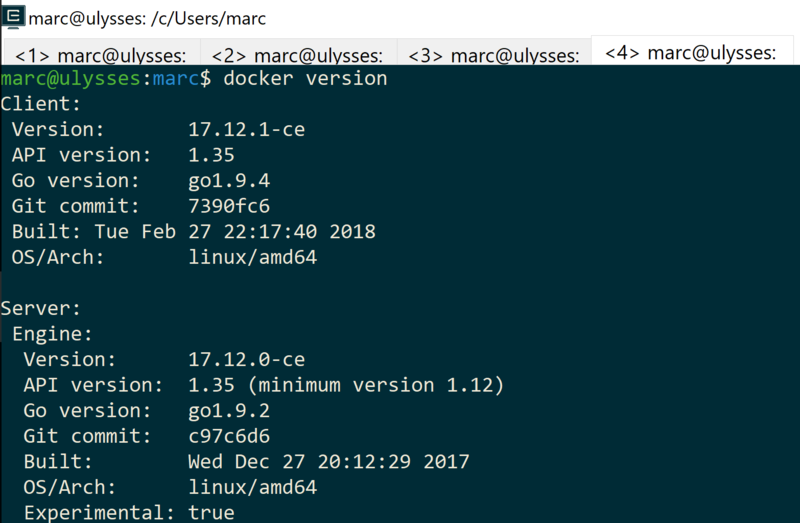 Practically seamless use of Docker… at least as easy as on Linux, and certainly better than the docker-machine rigamarole I had become accustomed to on Mac. I’m pleased to report that so far, all those expectations have been met. 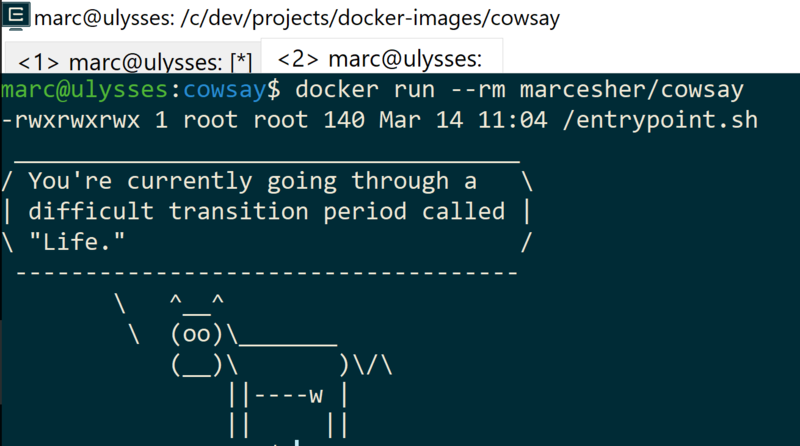 Docker on Windows has been, for me, a joy. Docker for Windows requires virtualization to be enabled, which probably doesn’t happen by default out of the box (it didn’t for me, at any rate). On this new laptop, I followed these instructions which worked perfectly. On an older PC, they didn’t work and I needed to figure out how to get into the BIOS a different way (Shift-F2 or Shift-F8 at startup, IIRC). In addition, in general, I’ve found the docs to be fantastic, including the troubleshooting docs. Jessie Frazelle explained the seeming-magic of WSL internals in this excellent post. 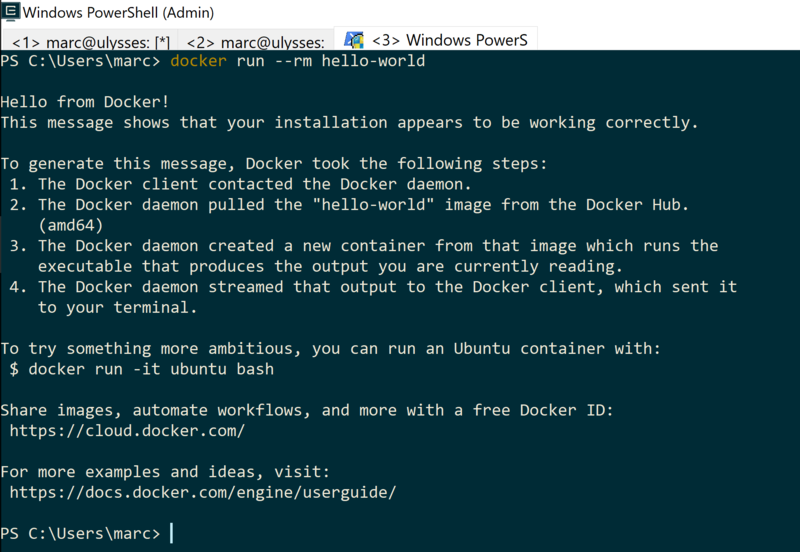 Bottom line: you can simply run the Windows docker.exe (which comes bundled with Docker for Windows) from within WSL, and it works really well. The next two options use the Linux Docker client rather than the client that ships with Windows for Docker. If you intend to use the Linux Docker client, do not YOLO apt install docker.io. Follow the documented Linux client install instructions. 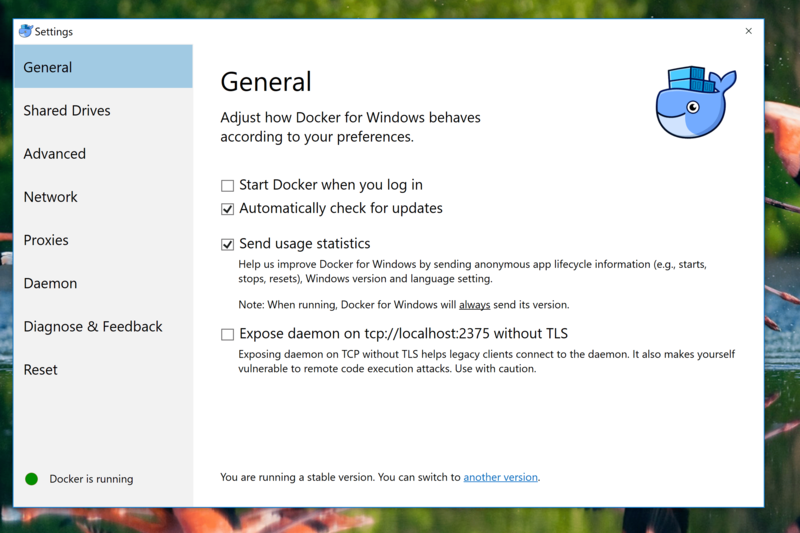 OK, so: for this “TCP without TLS” option, Nick Janetakis has a great blog post on how to use the Linux Docker client from within WSL using the Docker for Windows daemon, and I won’t attempt to recreate any of those instructions here. One small note: when I did this, I did need to kill Docker for Windows and restart it after checking the checkbox, because the initial checking seemed to put it into a weird state. No idea whether that’s just a fluke. That scary “makes you vulnerable to remote code execution attacks. use with caution” language that accompanies the checkbox you check. I really do not know how exploitable this threat vector is… I am not a CISO, lawyer, doctor, rocket surgeon, etc. Personally, that first con raises enough of a hackle for me that I won’t use it, especially since this third option, up next, was easy to get going and hasn’t been a nuisance to me in practice. A third option — the one I actually started with — is to use the Linux Docker client but without that “TCP without TLS” checkbox. 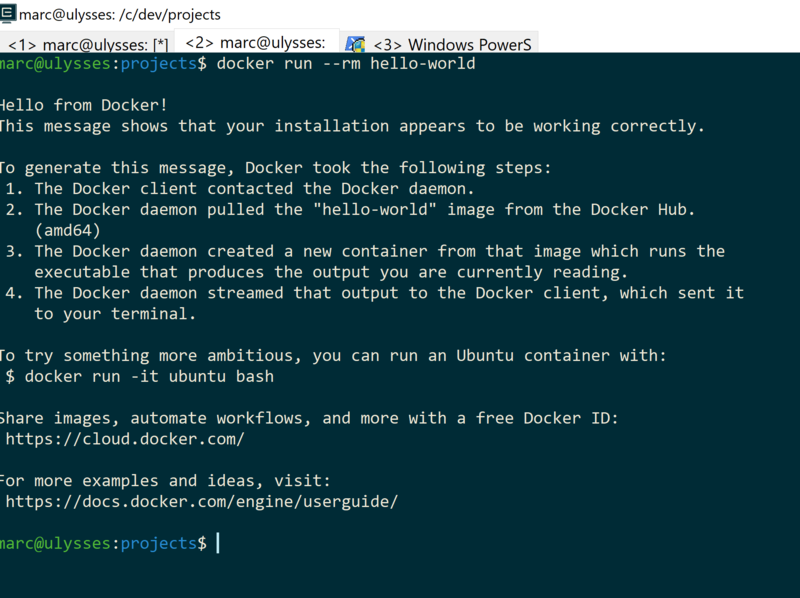 In this approach, you set up a relay between WSL and the Docker for Windows daemon. In addition, I did update my /etc/sudoers file so that I wouldn’t be prompted for a password every time I ran the relay. Caveat: This might not matter to you at all! The answer is that because when you docker build from within WSL using the Linux client, any files you add do get 777 permissions. 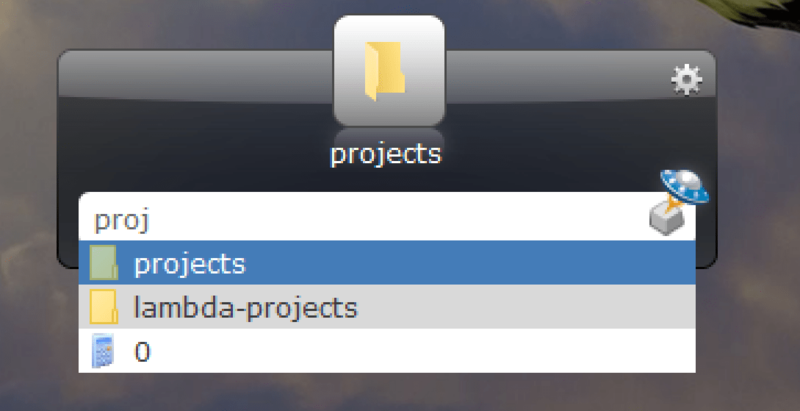 For example, I keep all my development projects on the Windows filesystem, starting at c:\dev\projects. And from within WSL, I access them from /c/dev/projects. Yes, that means even from within WSL, I’m working on a Windows filesystem for all dev projects. If you list those files, you’ll see that everything gets world permissions (i.e. 777). This might not affect you if you’re building images whose Dockerfile is on the Linux file system within WSL. It might not matter to you at all. Or you may choose to just update your Dockerfile to explicitly set permissions on any files/directories that get added to the docker image. All of the options above for having the Docker client communicate with the Docker for Windows daemon apply to docker-compose. If you choose to stick with using the Windows clients, you’d just want to symlink the Windows docker-compose.exe to docker-compose, similar to the docker.exe symlink shown above. And if you choose to go with the Linux client, be sure to follow the documented instructions for installing docker-compose. Here’s that image again from above. Note the GUI panels on the left that list images and containers, and note the terminal integration underneath the editors. 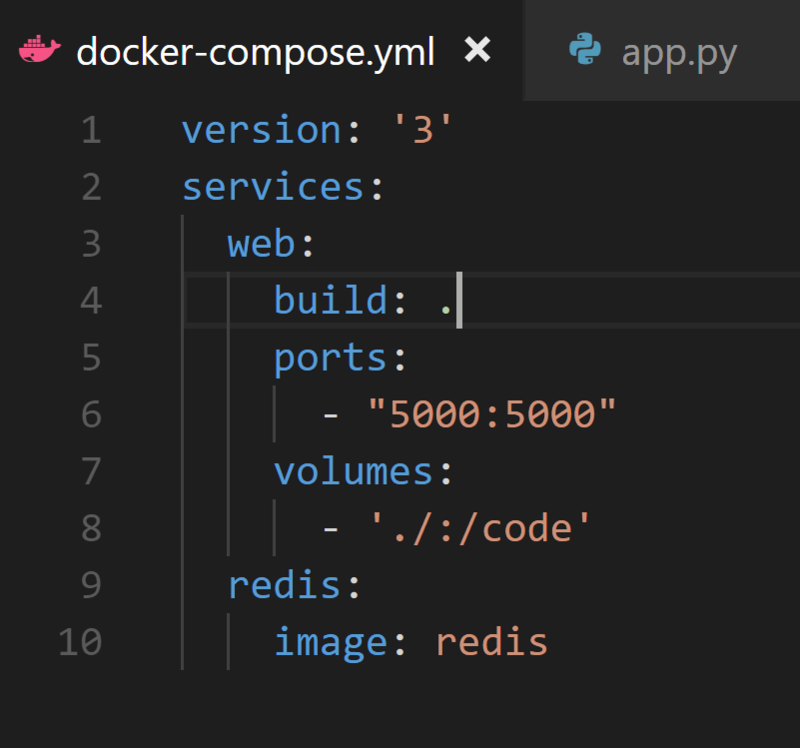 This is interesting to me: regardless of what Docker client option you go with for how you interact with the Windows for Docker Daemon, VSCode is going to use the Windows client for its GUI integrations, such as listing images and containers. However, for interactions with those items — such as right-clicking an image and running it or attaching to a running container — it’s going to use whatever shell you have configured VSCode to use by default. So in the example above, note that I have configured it to use Bash (via WSL). 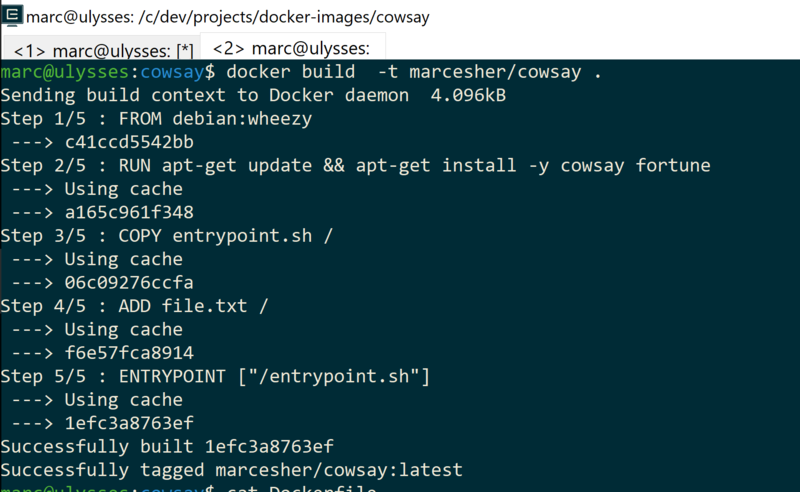 Consequently, interacting with those images and containers from that configured shell are going to use whatever Docker client option you choose from the options above. When I embarked upon this Goin-back-to-Windows experiment, I knew that Docker would be a kind of bellwether for me. If it worked how I hoped it would, then most likely I figured this experiment would overall be a pretty big success. And if it was janky and felt second-class, then most likely I’d end up ditching the experiment and dual-booting a Linux distro onto this new laptop. I am, so far, very happy with the Docker experience on Windows. Posted: February 5, 2018 March 16, 2018 . A very long time ago, before I had ever used Mac or Linux for personal computing, someone had convinced me of the value of a “launcher”: a program, usually invoked via alt-space, that would pop up a box and help you find stuff on your computer, launch programs / scripts, do quickie things like calculations, and otherwise keep your hands on the keyboard and off of the mouse. At that time, the only game in town for Windows was Launchy. When I started using a Mac for work, I tried out Spotlight, which is the default Mac launcher, and it felt OK but not even on par with Launchy. I quickly discovered Quicksilver and have stuck with it. When I moved to Linux a few years ago, I started using Kupfer, though I don’t recall why. It worked just fine, but I was a n00b and had I known about GNOME-Do, I probably would have used that. Why not just the win key? The win key is fine as an application launcher. It’s easy, fast, and just works. What I like about Launchy, though, is that it also makes it easier to navigate the file system quickly. For example, let’s say I keep all my code in c:\dev\projects. If I want to navigate to that natively, I could hit the win key and then type c:\dev\projects. 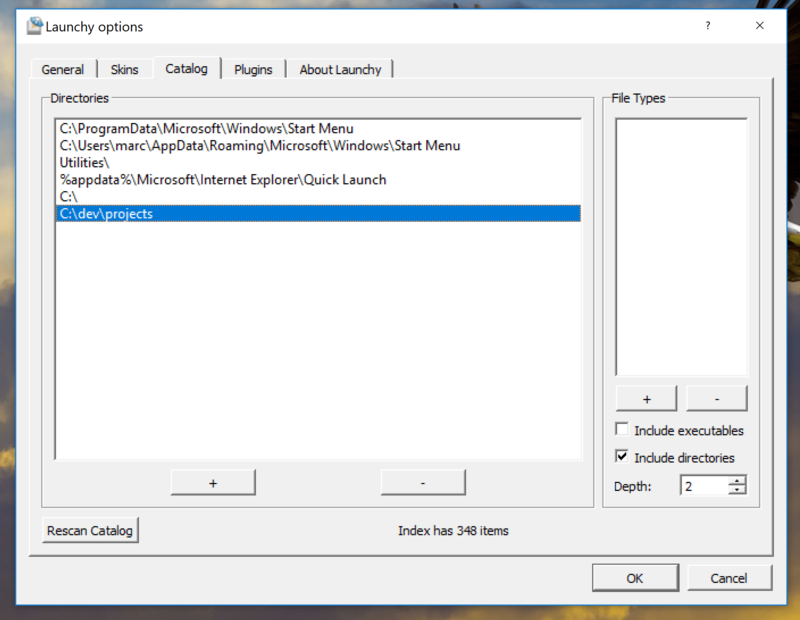 Or I could open up explorer and point-and-click to it. This is all certainly not life-changing, earth-shattering stuff. But I spend a lot of time on a computer, and pointing-and-clicking all day long is inefficient and unenjoyable. I like tiny time-saving, joy-boosting things, and a launcher like Launchy serves nicely. Posted: January 31, 2018 March 16, 2018 . AWS SAM Local is a “CLI tool for local development and testing of Serverless applications.” It uses Docker to simulate a Lambda-like experience. The docs explain well how to get started, and the GitHub repo has lots of samples as well. As of this writing, it supports python, java, .net, and nodejs. This is a quick post to show how to use it in Windows Subsystem for Linux (WSL) and Docker For Windows. The instructions recommend installing with npm. That didn’t work for me, giving me errors about file not found. I’m not sure if this is a problem with npm inside of WSL, if it’s a problem with the current installer, or what. In the instructions below, I’ll tie together several GitHub issues and a gist from three separate GH users. $ cd /c/path/to/project $ sam local invoke --docker-volume-basedir $(pwd -P) --event event.json "HelloWorldFunction"
Note: that cd /c/... is really important! If you do all the above but stay in your shell at /mnt/c — like I did 🙂 — it’s still not going to work. Big thanks to GitHub users Kivol and aseering for putting this together! If the above worked for you, then you’ll probably also want to persistently mount /c so that you don’t have to redo it every time you want to use sam from within Linux / WSL. If you’ve got a Linux background, you’re thinking: just mount it in /etc/fstab. It seems that as of now, anyway, WSL isn’t loading /etc/fstab entries when you open a new shell (i.e. it seems as if you have to run mount -a every time), at least according to comments in this MSDN post and this WSL issue. Fortunately, linked in those comments, sgtoj has a gist that sets all this up nicely. I saved this locally, ran it once, and now /c is mounted for all new Linux sessions. Coming from doing all personal development on Linux for the past 3 or so years, these kinds of hacks are disappointing. So far in this experiment with going back to Windows, these hacks have been few, and so far for me have all been related to wanting to use a docker client inside of Linux / WSL. More on that in a future post. Suffice to say: yeah, it’s hacky, but it’s not that bad. Annoying, sure, but certainly not enough to sully the overall experience so far in moving back to Windows. I can live with this one. After initially failing to get aws-sam-local running successfully within WSL, I figured I’d try it out all on the Windows side of the house. I ran into problems there, too. First, using go-get to install it, I got path-too-long errors. WTF. That led me to choco install nodejs and use the npm install route. That did work, and sam invoke worked fine. I really did not want to have to use Powershell for this. Not because I don’t like Powershell, but mostly because it kind of pierces the vale of the single development experience I’m trying to achieve, I guess. It’s a bit of a context switch to be doing most of the work in WSL, and then for this one thing, need to pop over to Powershell, which also means maintaining duplicate installs of software in Windows land and WSL land. A small thing, for sure, but I’d like to avoid it if possible. Posted: January 20, 2018 March 16, 2018 .